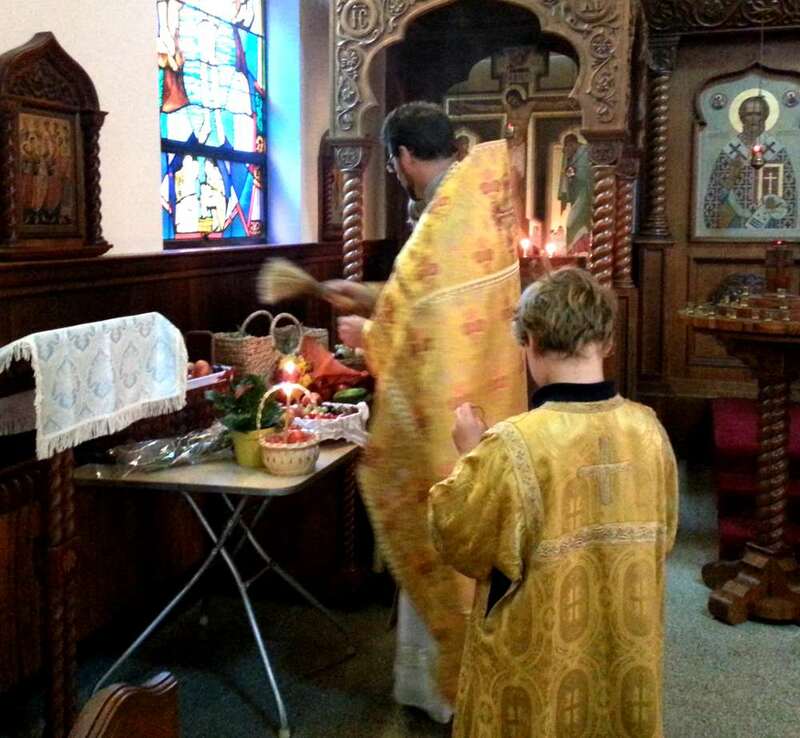 As part of ongoing efforts at Holy Trinity Church, East Meadow NY, to strengthen the Orthodox Faith among its community, the Church School Association [CSA] organized a Parish Family Gathering on Sunday, 5 August -- the eve of the feast-day of Transfiguration. Members and friends of the parish, both young and old, gathered together for dinner and a Q&A session led by the parish rector, Father Martin Kraus, before attending the festal vigil together. The CSA also purchased over 100 apples that were blessed during the service. The apples and additional fruit brought in by the faithful will be distributed on Wednesday night to the hungry on the streets of Manhattan during the parish’s weekly soup run. Parish Family Gatherings are scheduled around each of the twelve Great Feasts and are intended as parish-wide education for parishioners and non-parishioners of all ages. The informal social setting of a community meal and an educational activity not only provides a chance to educate about the feast and how it connects to our personal lives, but also an opprotunity for those present to ask other questions and learn about the faith. “Not only did we gather as a community to celebrate Christ’s Transfiguration,” said Father Kraus, “but we will now share our blessed fruit with those on the streets of Manhattan; sharing the Light of Christ with those whose lives many times seem so dark." NEW VIDEO: "Lessons in Our Faith"